Tell Stress to Cool It! Home / Blog / Tell Stress to Cool It! It’s Stress Awareness Month! So you should take a breather from worrying about your home comfort by turning to Swanton. 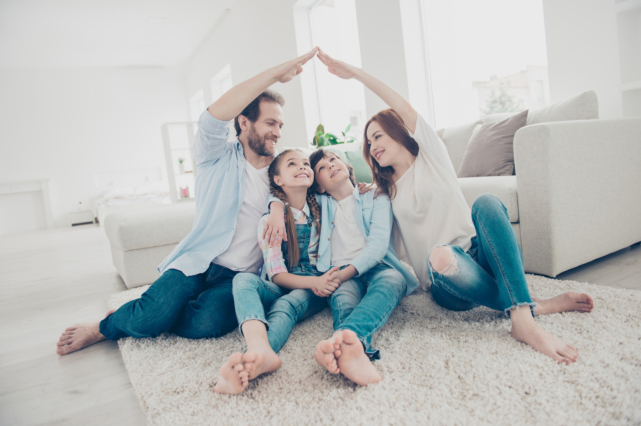 With our Wi-Fi thermostats and other connected home devices, keeping your indoor space cozy and comfy is stress-free. How? It’s easy! Installing our smart products will make your life easier, safer and more efficient. A smart thermostat does more than ensure you stay cool physically. It also helps you keep your cool mentally. With this Wi-Fi enabled device, your home’s temperature is under your control at all times. Whether you’re home or out and about, you can check your home’s indoor temperature and make any necessary adjustments as long as you have access to a phone, tablet or computer. Sick of stressing out over high energy bills? This thermostat has the ability to learn your temperature preferences and your routine. Then, it uses this information to establish a comfort schedule that’s tailored to your life and your budget. Depending on whether you’re home, at work, asleep or away, this smart device will automatically adjust to the most energy- and cost-efficient temperature, in turn, saving you an average of $180 per year. When you’re under a lot of stress, it takes a toll on your health. This is true for your plumbing system, too. People often consider burst pipes a wintertime risk, but this catastrophe can happen any time of year if you have rusty plumbing, hard water or a poor connection between pipes. The longer water is left seeping from a broken pipe, the faster and farther the destruction will spread. If you’re home when a pipe bursts, you have the ability to catch and address the problem quickly, preventing a flood of extensive and costly water damage. But what happens if you’re not home or you don’t notice? Unfortunately, plumbing problems don’t always occur when it’s convenient. They can occur at any time. This means, if you’re at work or away for an extended period of time when a pipe bursts, you’ll be coming home to a major catastrophe. Protect your peace of mind—and your budget—by installing a Wi-Fi leak detector from Swanton in any area that’s vulnerable to water damage—such as your kitchen, bathrooms, laundry room and basement. Place them near your washing machine, sinks, toilets, water heater, hot tub or sump pump. A Wi-Fi leak detector uses sensors to constantly monitor the presence of water in your home. If it detects water where it doesn’t belong, it’ll alert you right away by sounding an audible alarm and sending a message directly to your phone. This allows you to address a problem early, keeping the damage to a minimum. If peace of mind isn’t enough motivation to upgrade to a Wi-Fi thermostat, maybe instant savings is. When you purchase a smart thermostat through New Jersey Natural Gas’ website, you’ll receive a $150 instant rebate at checkout. For more savings, contact our team at Swanton and we will install your new Wi-Fi thermostat for free! To schedule an installation or to learn more about our Wi-Fi thermostats, leak detectors and other smart products, contact Swanton online or call us at 732.335.6731 today! We’re Packing Heat—Heat Tips, That Is!